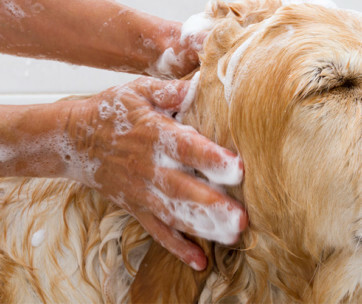 If you want to retain the silky softness of your dog’s coat, then you should invest in good quality grooming tools. 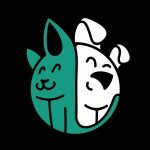 However, instead of getting different grooming brushes, you’ll have a much better chance using Pets&Goods’ Dog Grooming Brush. This is a 4-in-1 tool that can address a number of dog grooming issues while also providing comfort for your pet. 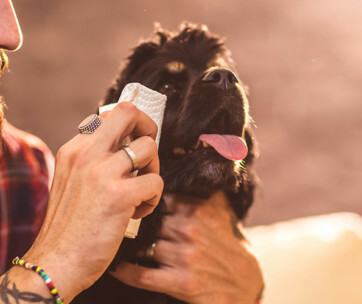 The Pets&Goods Grooming Brush is not your ordinary dog brush that comes with a handle. This tool has the design of a hand brush, complete with a strap for inserting your hands. What this means is that you’re turning your palm into a grooming brush. 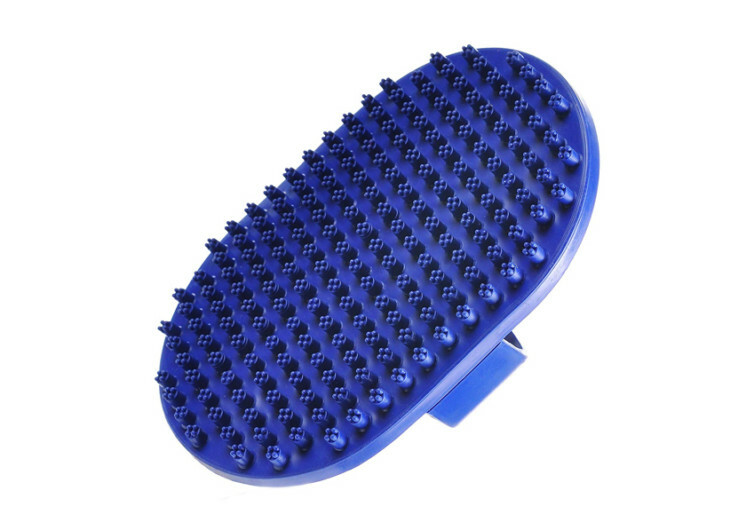 It’s like the body brush used on horses, except that this one’s for dogs. This grooming brush has an extra-wide base that serves as the attachment for its bristles. The whole contraption boasts of soft rubber material construction. While it would have been better if Pets&Goods used silicone instead, the rubber material is good enough. 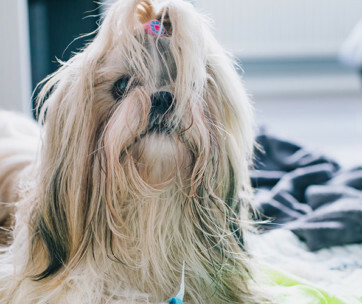 It’s flexible yet retains a certain level of stiffness to comb or brush your pet’s hair. The good thing about this grooming brush is that it works in 4 different ways. First, it’s a bath brush. The individual rubber teeth allow you to create more lather on the dog’s coat. It also helps remove tangled hair during bathing. 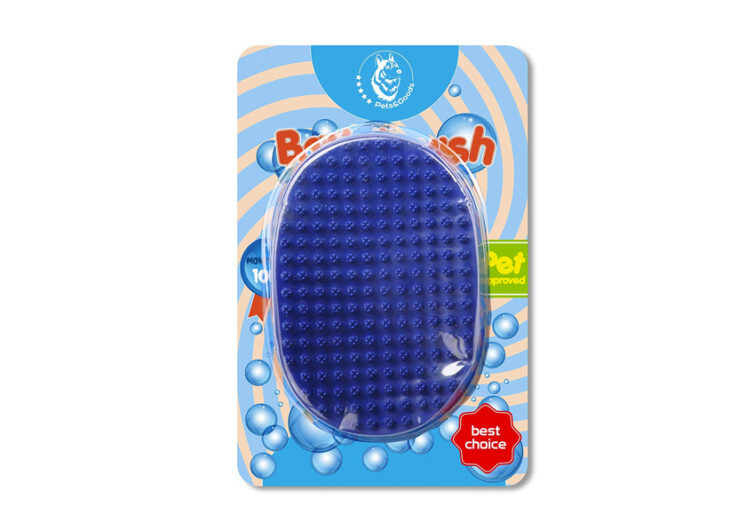 Second, the Pets&Goods hand brush is also an excellent massager. The tips of the rubber teeth are not sharp so they will not hurt your pet. A more important characteristic is the stiffness of the individual tooth. It is neither too soft nor too stiff that it may not provide the necessary massaging action on the pet’s skin. Third, this grooming brush is also a great deshedding tool. 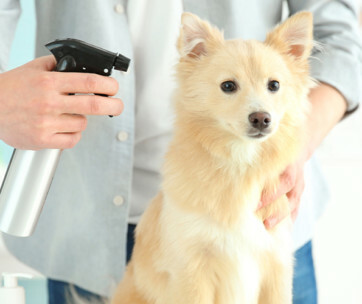 This is useful for preventing the accumulation of pet hair on different surfaces in your house. People with asthma or other forms of allergies will find the Pets&Goods product to be exceptional in the removal of loose pet hair. Fourth, this brush is a good brush for grooming your pet every day. Since it doesn’t involve any handle, you will never feel any strain on your hands. 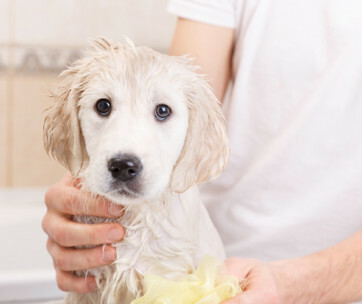 Best of all, you’ll have better control of the brushing action since it’s like running your hands over your pet’s coat. 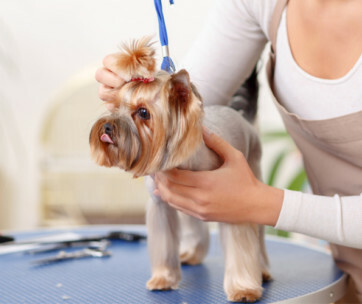 The Pets&Goods Dog Grooming Brush is a versatile hand-mounted brush. It is easy to control, durable, and works in 4 different ways, too.